The RYOBI 40-Volt Jet Fan Blower delivers gas-like performance to help users clear through heavy leaf debris. 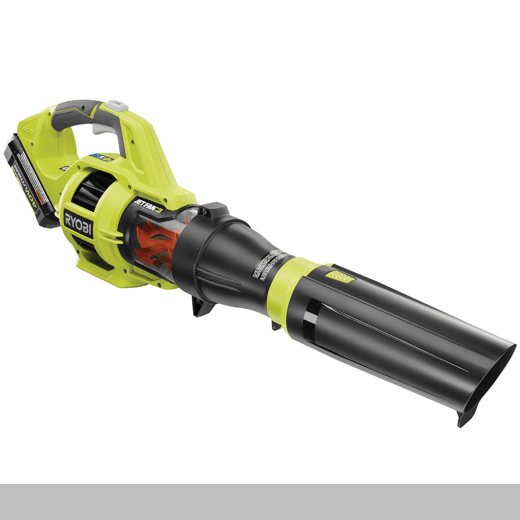 Fueled by fade-free Lithium-ion technology, this cordless blower showcases a new airflow architecture to educate and excite consumers. The combination of control, technology and convenience creates a quieter, cleaner user experience. Users now have flexibility as to when they clean their lawn without disturbing neighbors. RYOBI is working to equip users with the outdoor tools to help cultivate a vision of home, supporting the idea that anyone is capable of performing a variety of tasks without relying on paid specialists.